Convert all the data without leaving a single one ever. Software enables users to execute selective migration of Zimbra database into EMLX file format. This is an excellent feature that creates an opportunity in front of users to make a selection of those files that users wants to access later into EMLX file format. With the application, metadata info along with email properties all a maintained. It preserves information such as header, sender and receiver name, and lots more. The predefined folders such as Inbox, Outbox, Draft, Sent Items, Contacts, and lots more info also maintained. It is always recommended that application makes use of instant email migration process. According to this feature, users are free to utilize instant migration facility which ultimately moves all the emails into EMLX format. Software makes use of batch migration option that converts complete safely into EMLX files. The conversion in batch saves large amount of time especially when users have bulk mailbox data to make transfer of. Sysesssential for TGZ to EMLX Converter makes swift migration of Zimbra TGZ mailboxes into EMLS file format. During conversion process, software supports that folder structure remains as it is. This will create an ease for users to access same folders into .emlx files so that data can be access with ultimate ease. Every feature of the software is created in such a way that users can easily work with them. Set of features are easy to understand and cause no more hurdles in front of users as far as clarity of features is concerned. Even if a non-technical user attempts to run the application then also he/she won’t come across any technical hurdles. Software is fully protected from outer sources such as virus, malware and other such external sources. The outcome of the migrated email items such as EMLX file format is safe and comfortable to work with. Is software supportive of all Windows versions? Without a doubt, the application is supportive of working with all the MS Windows OS editions. This is helpful for users because disregard of specific Windows editions, users can make use of the tool for migrating emails from Zimbra TGZ to EMLX file format. What if TGZ file size is large to manage? Can safe data migration be expected from the tool? Being safe to use solution, users usually feel genuinely feel comfortable to work with the software. Since the arrival of the tool in online marketplace, users hardly come across any hindrances at all. What to do when it is to troubleshoot problems while coming across technical issues? If you ever come across any query and wanted quick solution then simply contact with the customer care team. Just dial the helpline number and this will reduce all the complications you face with the tool. 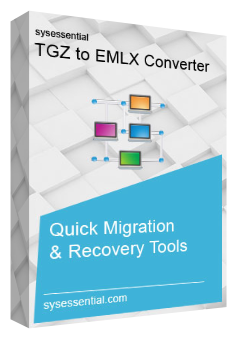 Ask any query from support team and they will happily remove the complexities and bring forth ease in carrying TGZ email migration into EMLX file format. How software performs bulk Migration and that too without data loss? Software engineers ensure that software doesn’t become a matter of complication for users at any point. There is proviso for batch migration which will save lots of time. The excellent and appreciable thing is that tool does not cause loss to data in the midst of email migration task. What can be expected from Free demo edition? Free demo edition is fully like licensed version with only difference that it will accomplish export of only first 10 emails from Zimbra into EMLX files. It will surely delete all your doubts about features and working process of the tool. Thus, download the application and try out the features and functions to its fullest. Emails are important for any email application holder. I was using Zimbra earlier and later inclined for Mozilla Thunderbird. However, it is not possible for me to leave emails just like anything into Zimbra and want to make an instant email migration task. For this purpose, I hired Sysesssential for TGZ to EMLX Converter and this leads to solve my purpose systematically. The tool is inexpensive but excellent in features. It has migrated bulk of mailboxes in few minutes and saved my time. Hurrah!